This beautiful gas range produces flawless cooking results thanks to Even-Heat™ True Convection; the unique bow-tie design and convection fan ensure the inside of the entire oven is heated to, and stays at, the perfect temperature. This range also features a Steam Rack that offers the ability to add additional moisture to the inside of the oven, enhancing cooking results. 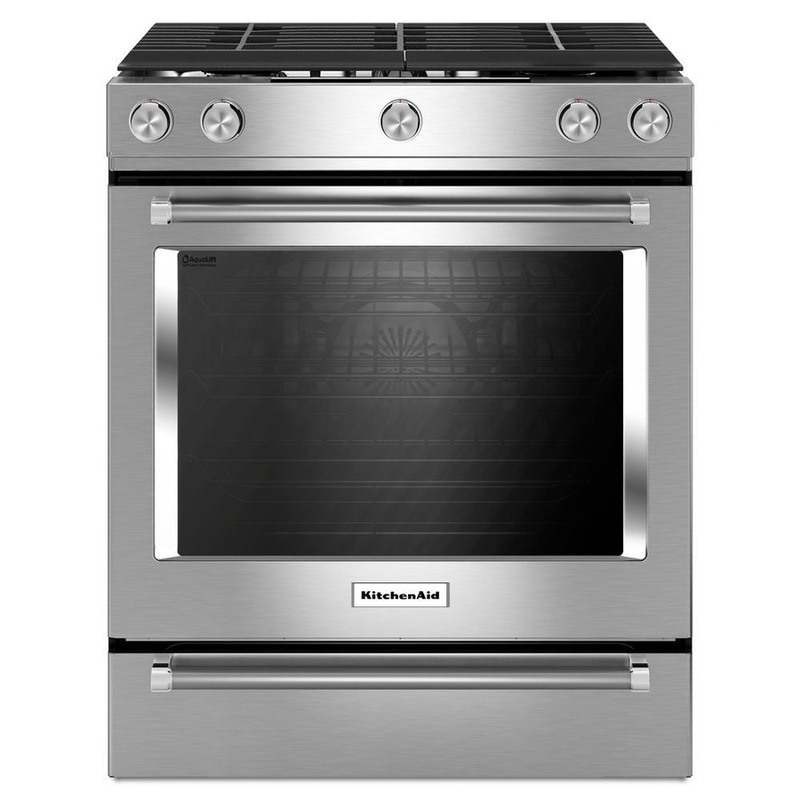 The oven is 5.8 cu ft., providing a large cooking capacity that’s perfect for preparing multiple dishes at once.